TREES. THEY ALSO BENEFIT FROM A WONDERFUL PROJECT. Eunice and Bernard are right to look proud as they stand in front of their magnificent specimens. These trees are up to 15 meters high, growing on a field measuring almost a hectare in Kandara, Central Kenya. Ten years ago, like most people here, the Mbuthias were subsistence farmers. Maize, beans, bananas, and other varieties of fruit and vegetables ensured the family’s survival. 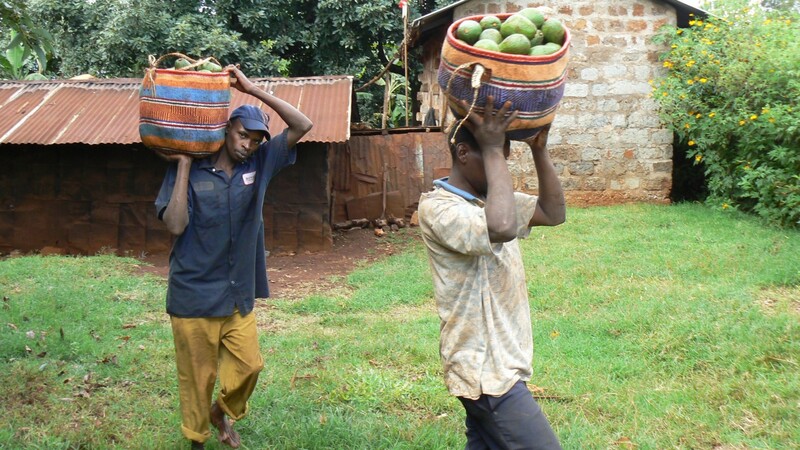 A friend advised them to try growing avocados – a healthy, fatty fruit – as a way of earning an extra income. Bernard then had a great stroke of luck, meeting a farming expert who introduced him to a project. The expert suggested changing methods so that the avocado trees were cultivated in an ecological manner. In return, he would buy the entire harvest on exclusive terms and pay far more than the usual price. 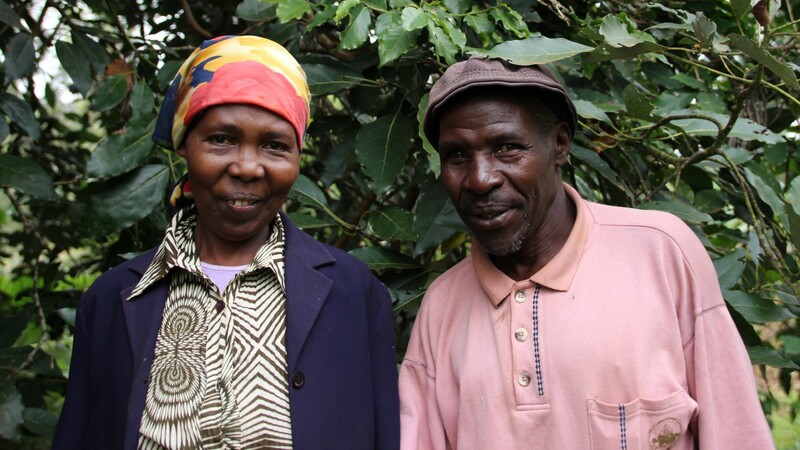 Like hundreds of other farmers in the region, Eunice and Bernard took this opportunity and have not regretted it since. 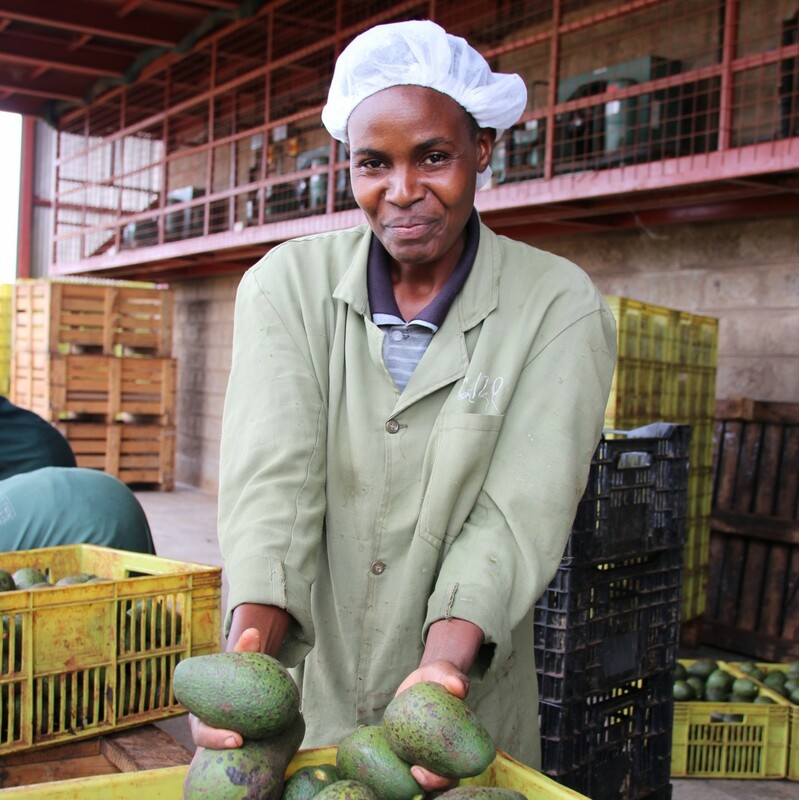 By selling avocados, they have been able to provide well for their family of ten and pay for their children’s education. Their eldest son is now married, while the youngest is attending secondary school. The unique aspect of this project was not simply the export of fruit, but investment in the construction of a local oil mill. 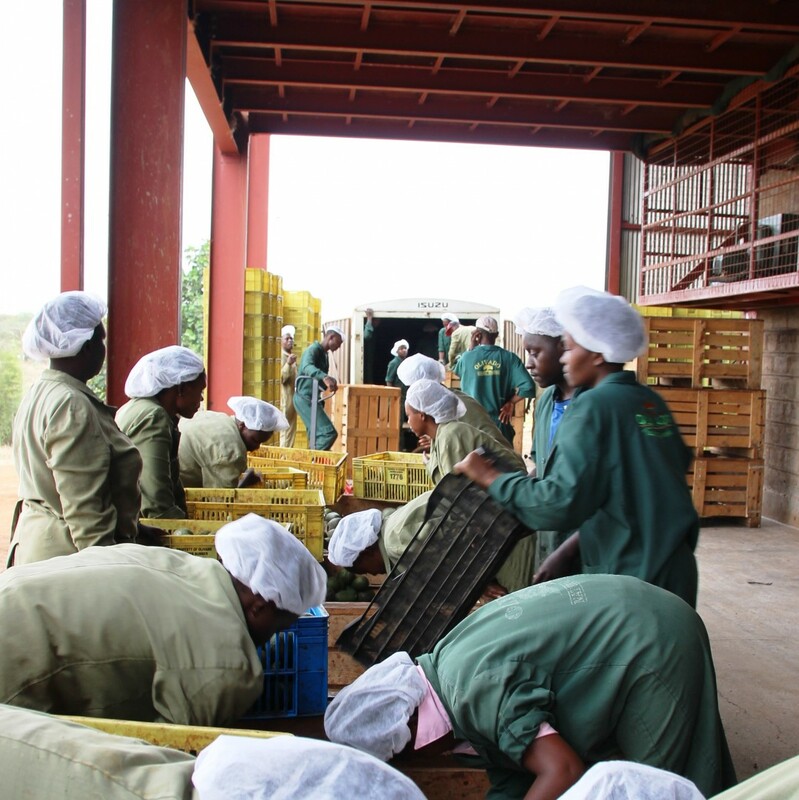 In this way, the investor – now a long-standing trading partner of BIO PLANÈTE – created 30 new jobs and a value chain whereby a large proportion of the generated profit remains in Kenya. There is also a biogas system to make even better use of resources. This generates energy from large quantities of fruit waste and seeds, which is used to power factory equipment and transportation. Even the residual biomass is used as organic fertilizer. Families like the Mbuthias therefore benefit from the oil mill in several ways. For instance, Bernard can offer a cup of tea to visitors in his new living room. His recently built stone house provides much more space than the old wooden hut and represents a real step forward in terms of safety and quality of life. Just a short time after the harvest, the Mbuthias’ trees already have new yellow-green blossom. Eunice strokes the petals affectionately: »It takes eight months for these to turn into ripe fruit.« And then the cycle begins again for the new harvest. In free training sessions, the Mbuthias learned to prune new shoots so that the blossom receives enough light and air. 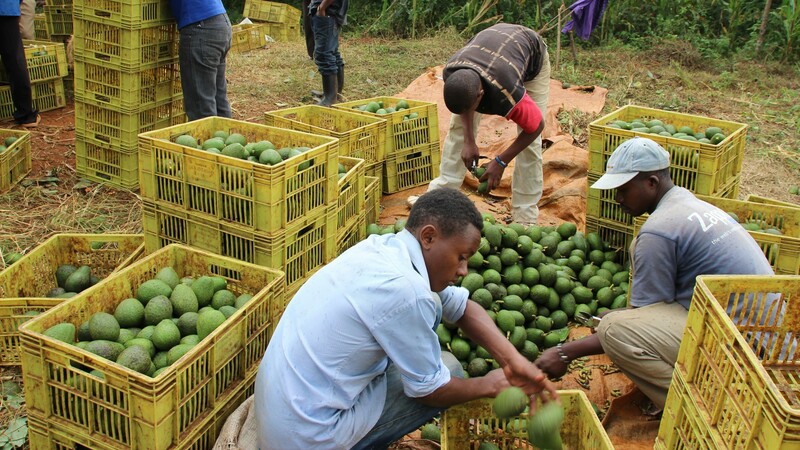 This determines the quality and quantity of the avocados as well as their resistance to diseases. The soil also receives plenty of tender loving care in the form of compost, which is dug into small trenches within a few meters of the trunk so that the roots can absorb plenty of nutrients. 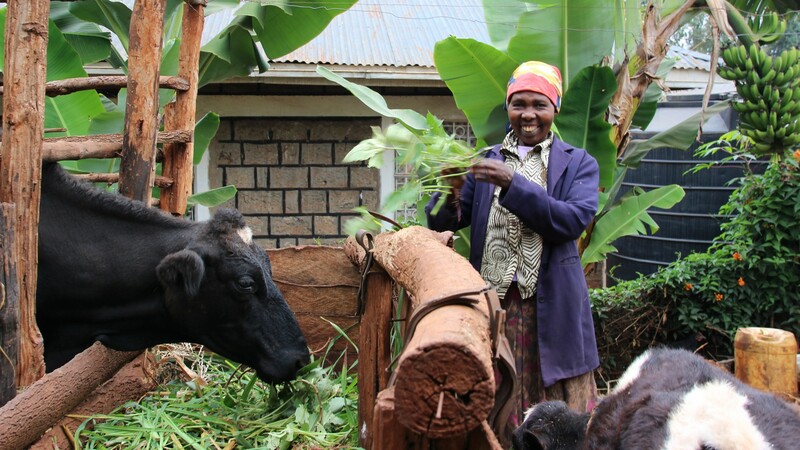 In order to prevent weeds naturally, Desmodium plants are sown as ground cover and green manure, which also provides food for the Mbuthias’ relaxed family cow. The animal returns the favor in its own way by producing useful organic fertilizer. The unemployment rate in Kenya is 40%. More than half the population still makes a living from farming, and very few people are able to generate a surplus that they can sell. Furthermore, selling products is a serious challenge for small-scale farmers. Customers who lack transparency offer unreasonable prices, and their demand tends to fluctuate. These circumstances made the oil mill project all the more important. In 2008 the Institute for Marketecology (IMO) awarded the oil mill with the organic certificate. This institute cooperates very closely with the organic certification organization Ecocert, which issued its fair trade label to our avocado oil. 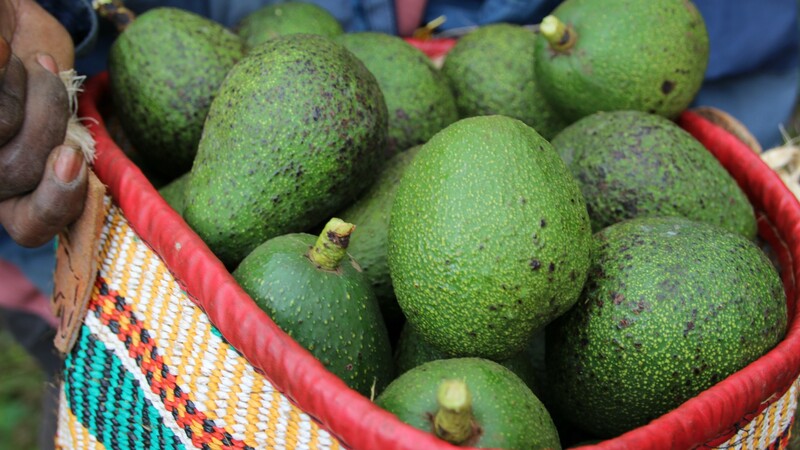 The label guarantees that the company works in partnership with its avocado farmers, entering into long-term contracts and honoring minimum prices. Similarly, the fair trade label secures humane working conditions, environmental protection, biodiversity, and the promotion of organic farming. It takes around 80 fruits from the trees of the Mbuthia family to create a liter of organic oil. The ripe avocado pulp is gently cold-pressed once to preserve the valuable nutrients. It is an incredibly versatile oil that is often used in cosmetic products and has many different applications in the kitchen. Thanks to its uniquely high smoke point (250°C), it is ideal for searing, frying, and wok dishes. It also enriches baked and roast food by gently enhancing the flavor of particular ingredients. Together with Eunice, Bernard, and many other small-scale farmers in Kenya, we are proud to present our virgin organic BIO PLANÈTE avocado oil. 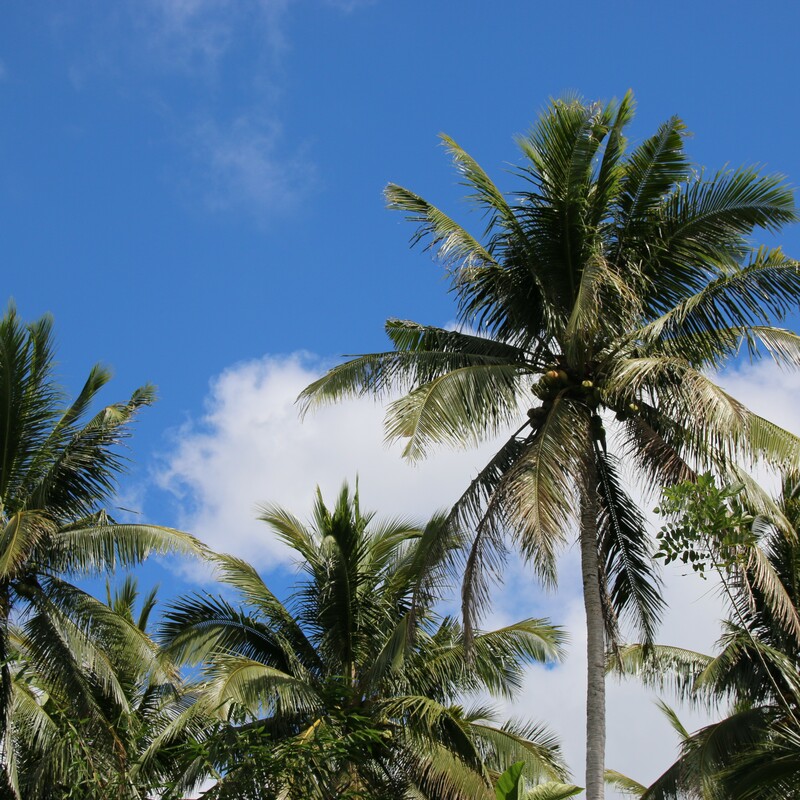 Meet Geronimo Sabornido, an organic coconut farmer from the Philippines.